A 7-minute video of a year-long ad campaign 可口可乐365快乐天（Coca Cola 365 Days of Happiness), created by McCann Worldgroup's Hong Kong Branch (香港麦肯广告). It's an interesting case study of what advertising/marketing looks like in different mediums (or as some may call it, "multi-channel marketing"). Warning: The "trendy" beat in the video drove me nuts. 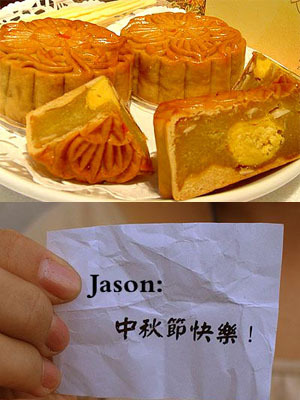 Translation: "Jason: Happy Mid-autumn Festival!" Copy the URL below, insert the name of a friend, and send it to him/her! North Korea is the same as we were before the 1980s; the standards for receiving foreign and domestic guests are completely different. All of their restaurants are state-run, so if we don't eat at a quality restaurant then it's a special banquet room, and they're all good local restaurants. 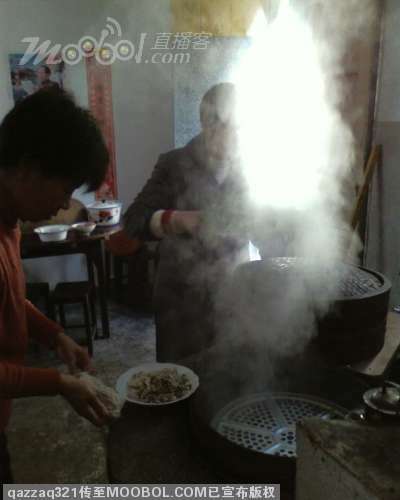 The food can't compare to China, but it's very special treatment in the North Korean context. It can't be called really tasty, but getting your fill isn't a problem. The first evening they arranged for us to eat at a 4-star restaurant in Pyongyang, the Western Peak. Eight or nine people to a table. When we got there they brought small dishes of chicken, tofu, pumpkin and beef, three dishes of each. That made it look like there was a lot, but there were really only four kinds of food. But each table had two bottles of beer, which was more than we had expected. After that each meal had beer, which is not often the case when taking tours in other countries. A Kaesong "royal banquet" -- the tableware is very pretty. The second day we went to Kaesong, where we had lunch at a famous Koryo cuisine restaurant. We were served an ancient imperial banquet, and the tableware here was beautiful. In front of each guest was a perfectly arranged set of eight brilliantly polished brass bowls...Waitresses dressed in traditional clothing poured us each a glass of millet wine and removed the lids from the dishes to reveal eight different kinds of pickled vegetables. The shops were fairly well stocked, but are mostly for foreigners. They have a ration system, as we used to have in China. If you don't have enough grain you can get more on the black market. But we heard it is many times more expensive. It looks like as long as you have money you can take care of food and shelter. 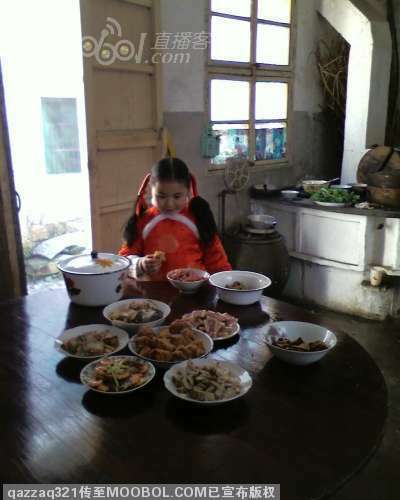 But here in North Korea, where the average monthly salary is 90 RMB, how many people can really fill their bellies? Why is there such a huge difference between North and South Korea? I can't figure it out! Because North Korea is like China -- communist. Can you tell us when you took these? I hope the two countries can reunite. They're one family after all. Mr. Kim Jung-il, please consider it. It's a typical socialist country. I wonder how people would have felt if they had seen these pictures when they were all shouting, "Socialism is great!" You must have been watching too many South Korean teledramas! South Korea would swallow up North Korea, and our compatriots in northeastern China would be living under the sights of American rifles. I like going to Google Video and Youtube every now and then and doing some searching in English and Chinese for different China-related topics. You never know what will turn up, and the randomness is the fun of it. Today I checked out the variety on Vimeo, a sort-of hipster's Youtube. Searching "China" reveals 17 pages of videos, everything from slice-of-Beijing Beijing night market and Tian'anmen kite-flying, to Meet a Chinese (self-intro of a young Chinese guy at an American prep school). These kinds of videos let us experience certain kinds of places that we might not want to visit in real life, such as this crazy amusement park-style supermarket in Shenyang, or inside this Wuhan nightclub. Most seem to be made by non-Chinese folks, visiting or living in China, except for a series by Hangzhou blogger (and Lost fan) Vincent Du, who treats us to a group of Bosch friends singing for one another at a dinner--a great Chinese custom, if you ask me, even though it can be painful if you're not used to singing in public. 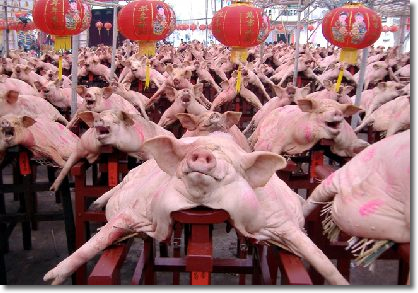 Guanlong, Denghai [in Guangdong province] has the custom of an annual "Great Pig Contest." This contest is a folk ceremony for celebrating an abundant year, similar to praying for a bumper harvest and prosperity. But the spectacle and grandeur of this ceremony is rarely seen in these parts, and in addition the Great Pig Contest promotes growth. 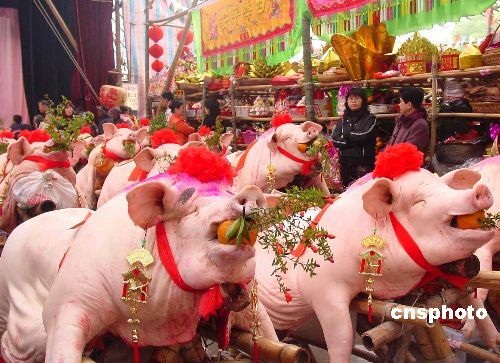 On the 18th day of the first month of the lunar calendar, the site of Denghai's Great Pig Contest is quite a spectacle. All one can see is over 500 flayed-open fat pigs, each spread on a wooden frame about 1 meter in height. Looking in that direction, one sees a field of snow white. These porcine offerings have their heads held high and their mouths stuffed with tangerines. They look as if they're leaping forward, presenting a scene of vigor and high spirits. Attached to each wooden frame is a red label reading, " so-and-so fortune and respect" so that each family can identify its own offering. People are milling about, each wanting to be submerged in the center of the crowd, and only bits and pieces can be seen of even the tallest. Shouts echo through the crowd as people try to locate one another. Every year the largest pig is put forth in the front row with its weight displayed. They're generally about 1000 jin or more. In addition to labeling it with the family name, the biggest ones were also wearing big red flowers! These huge pigs have all been raised since last spring. There's a very rigorous process for keeping them fat and healthy. 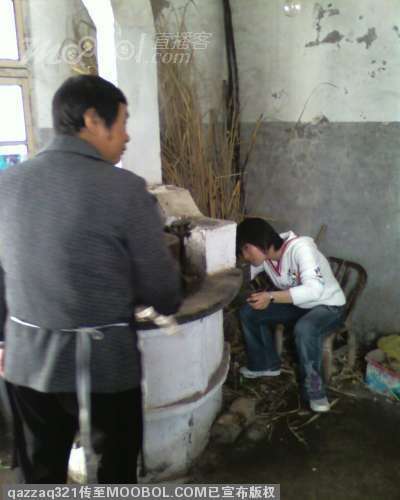 It's said that every year the Great Pig Contest takes place on the 17th and 18th of the first lunar month, and that it's organized on a rotating basis by different family lineages. 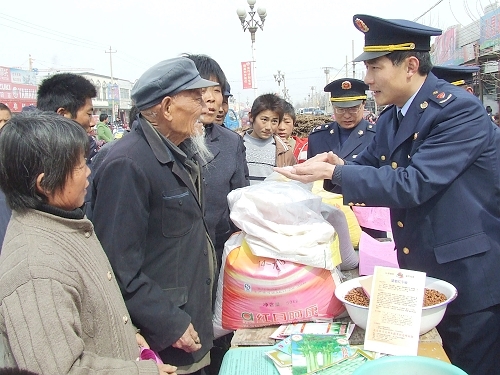 And as it's at the beginning of the year, this kind of contest can not only enliven the farmers' enthusiasm for production and fill the new year with hope, it also increases the atmosphere of joyous celebration. So lively! My spouse's family does this too, we call it "Displaying Pigs and Sheep," sometime around the new year. It's a shame I've been unable to see it for many years! May I ask, what do they do with all the pigs after the contest? If the weather's a bit hot, wouldn't the pig flesh start to stink? Is it interesting? It makes me feel I've entered a slaughterhouse. What a strange folk custom! It's really a problem, what to do with all that pork. For those animal rights people, have you never eaten meat before? Who are you kidding? 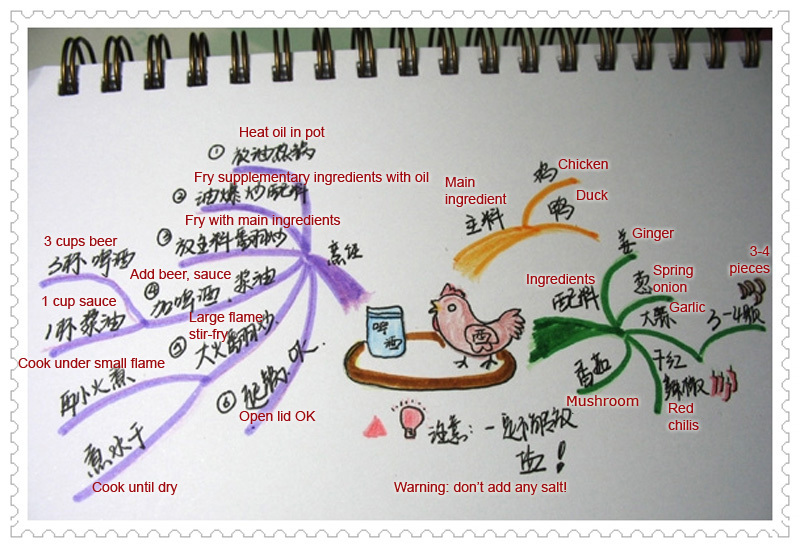 The story behind the phrase "小处不可随便" "Don't forget the small things" is also interesting. 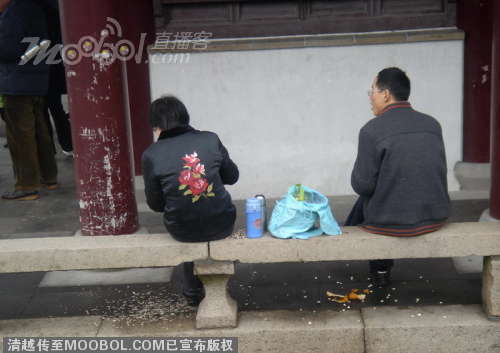 According to Baidu Knows, a famous KMT official got tired of people peeing around the premises and wrote a sign saying “不可随处小便” "Random Urinating Not Allowed." His calligraphy was so prized that someone stole the sign, cut it into individual characters, and rearranged it into "小处不可随便" "Don't forget the small things." [Update: Literally, "don't be too casual in small places"]. 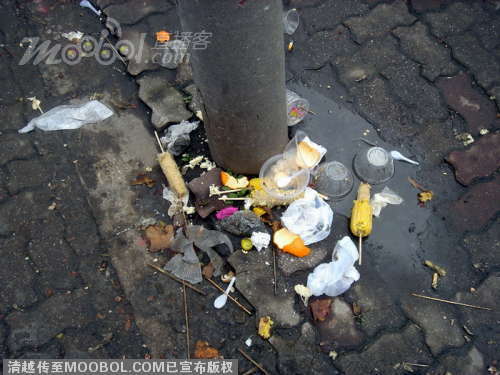 This has evolved into referring to things that deface little corners of public space, like littering, spitting, and random parking. More to come! Link to original post. Click on it and it will bring you to a window that runs the ad itself. There's also an ad for the iPod Nano available, and a perfume ad for Guerlain. Browse the hyperlinked ads at the very bottom to fine Chinese domestic brands like the sports apparel provides Anta.